Steven has worked in Property for over 35 years and originally trained commercial property before progressing to working for a PLC Residential Property Development Company. He then set up a residential estate agency called West End Estates, covering both sales & lettings in Hampstead, West Hampstead, St Johns Wood and surrounding areas where he met Darren Joel. He grew up in Stanmore and both his sons currently live in Borehamwood, as well as many friends and business contacts. He therefore decided, as the area is fast growing and improving, it was the perfect time to utilise his wealth of experience and set up a new contemporary boutique agency. His interests & hobbies include being an Arsenal season ticket holder, working out in the gym, travelling, Martial Arts where he holds a Black Belt Dan grade in Aikido. Darren has worked within the property industry for over 20 years. Having built up an extensive amount of knowledge and experience in selling and renting homes, he believes that customer service is key and will go to great lengths in order to meet all clients’ expectations. 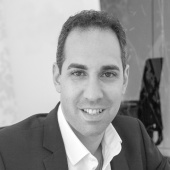 Darren started his property career working for a corporate estate agency in Golders Green. After venturing further into London where he met Steven Morris, he progressed to his next level assisting many high net worth clients in the handling of their investments. Having lived within the Elstree and Borehamwood area for many years, Darren has watched the area grow. Not just with the increase in property prices but also with its improved retail and restaurant selections. He has a passion for football and supports Manchester United. Darren enjoys playing football, boxing, going to the cinema, and most of all, spending time with his wife and daughter. Benjamin has worked in the retail sector for many years and perceives himself to be a dedicated, hardworking and a confident individual. 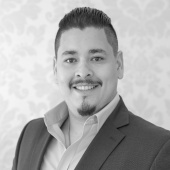 His focus changed to property a few years ago, and has gained a vast amount of knowledge and experience within the lettings industry and prides himself in providing a high-quality level of service to all his clients. He has also served two years’ service in the IDF, which was a challenging and exciting experience. Since then, he has developed a passion for traveling and learning about other cultures. Benjamin’s hobbies include going to the cinema, socialising with friends, working out regularly at the gym and boxing. Karen has worked for 25 years in residential property as a P.A. In areas including Temple Fortune, Hampstead and the West End, she furthered her career in property and went on to work with a property Investor /Developer. After taking a short time off to raise her two children, she had a change in career, where for the last 10 years has been a P.A / secretary for a Consultant General Surgeon. She has excellent interpersonal skills and shows she has unmatched perseverance when it comes to completing complex administrative tasks. A great communicator, loyal and trustworthy, putting absolutely everything into her work, playing an important role within our Company. She has lived in Elstree for the last 22 years and is very familiar with the area and how it has changed. She has two grown up sons and when not working she enjoys socialising with friends, travelling and helping others ..